Super stylish dress from Goddiva. 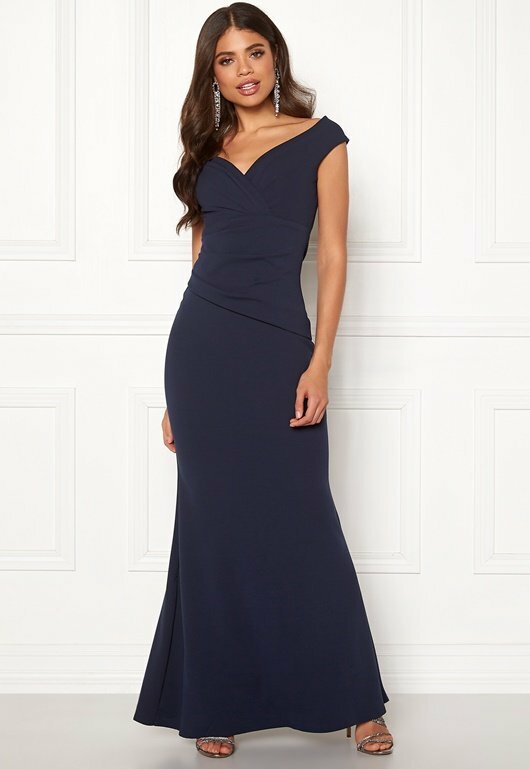 It's fitted, has a V-neck, draping and concealed back zip fastening. Can be worn off shoulder. Back length from shoulder 152 cm, bust 80 cm in size S (UK10). The model is 176 cm tall and is wearing size S (UK10). Hand wash only.